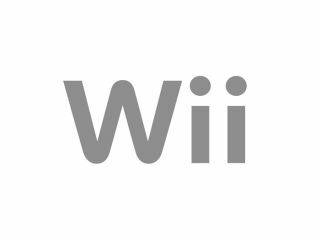 Nintendo UK has moved quickly to scotch the growing rumours of an imminent pre-Xmas price cut for its Wii games console. Rumours of the cut for the Nintendo Wii in the US were sparked off by leaked scans of 'Toys R Us' posters promoting a price cut from the original RRP of $249 down to a new price of $199. "There has been no confirmation of an official price drop so we can't comment other than to say that should such a move be confirmed, it would be welcomed by publishers and could assist in arresting the Wiis sales decline this year," said games industry analyst Nick Parker. "Although games are what sell consoles so there would have to be a matching raft of hot titles this quarter to impact its fortunes significantly," added the analyst. Meanwhile, Nick Gibson over at gamesinvestor.com thinks that "Nintendo will inevitably have to cut its Wii price at some point and with Wii hardware sales having slowed considerably so far this year relative to 2008, now would be as good a time as any to stimulate demand with a price reduction." Commenting on those US price cut rumours a Nintendo UK spokesperson told CVG: "We currently have no plans to cut the price of Wii. Current talk of price cuts is rumour and speculation." The $50 reduction rumours in the US emerged from this leaked Toys R Us brochure, with the new US price reportedly coming into affect on the first week of October. "I'd be surprised if Nintendo cut the price of the Wii before Christmas in the UK," said Ngamer magazine editor Nick Ellis. "However, I wouldn't be surprised if we saw some kind of official bundle being put together that included MotionPlus, or perhaps Nintendo UK working with UK retailers to package together console plus MotionPlus plus game bundles at an attractive price." Another games analyst, Screen Digest's Piers Harding-Rolls is of the opinion that "a price cut for the Wii would not be unexpected considering the relative year-on-year performance of the platform" adding that "A $50 drop puts it at the same price as the Arcade version of the Xbox 360, which has had some success eating into Nintendo's market share this year. "Although Nintendo has New Super Mario Bros and Wii Fit Plus to launch in the coming weeks - both expected to be very good sellers - neither of these games are likely to shift a great deal of hardware or bring new customers onto the platform as they are both sequels, albeit with new content and experiences. "With both Sony and Microsoft lowering prices and demand for Wii hardware slowing this year compared to last (although still selling well) and Nintendo aiming to hit its Wii shipment target, I believe there is a strong chance of the company making a pricing move before Christmas." TechRadar will be paying close attention to the Kyoto Cross Media Experience on September 26, when Nintendo is most likely to make any official announcements of price cuts, new games and more.